Nassau's Auction and Liquidation services are centered around product knowledge, skilled sales professionals, the internet, and integrity. Our website enables you to browse and search our equipment, view pictures and condition reports, ask our professionals for additional information, and send data to others. We accept bids from around the world and we provide a truly secure mechanism for purchasing our repossessed items. 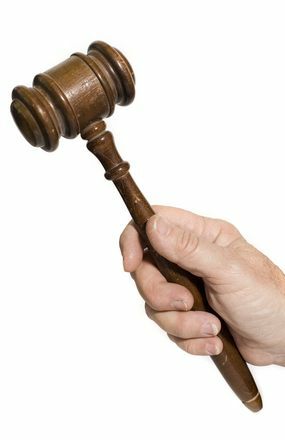 Beyond standard equipment auctions, where you can win immediately or when the auction closes, we also maintain orderly equipment liquidations. This is a service we provide to our clients in order to maintain a commercially-reasonable sale. Both auction and orderly sales have been proven in court to constitute both public and private commercially-reasonable sales. For our buyers, a liquidation means we have certain prerequisites or rules that have to be met before we can sell the item to the highest bidder. In some cases, the sell date of the item may be delayed if certain criteria are not met. An example of the criteria might be a three (3) bid minimum – where we cannot sell the item without 3 pre-existing bids. All in all, this service ensures our clients to fully realize the equipments resale potential, and the sale will hold up in court if contested. We also have a subscription based pipeline service available to our buyers. This service, with a nominal monthly fee, provides you with the enhanced ability to manage and track your bids as well as provide listings of equipment that are soon to be repossessed. In many cases, we do not have photographs of such items, but the ability to pre bid on items that most buyers will never see, gives you an advantage to win – especially if the liquidation prerequisites have been met. We encourage you to use our web site to its fullest. We provide these services to enhance your position to purchase our goods. You can go directly to our equipment auctions and liquidations area by clicking here. Check out our latest Watch Auction! !